With all the hustle and bustle that comes with Wedding planning, planning the honeymoon can sometimes feel like an added stress instead of something to look forward to! But since Captain America and I recently got married and went through the whole rigamarole, (and we’re just now scheduling our honeymoon – having postponed it due to illnesses and…well, life), I’ve come up with some tips to help you all through the honeymoon planning process! 1. Lay Out All the Options: He wants a tour of Irish pubs, she wants a tour of Parisienne museums – when you first sit down to talk about your honeymoon plans, chances are both you and your partner are going to have some different ideas on what constitutes a romantic getaway for two. Instead of immediately getting in a fight about your destination, agree to make a list of all the options, and then start whittling them down based on the rest of your criteria. 2. Consider Your Time Of Year: Tropical destinations – though popular and relaxing – are often subject to adverse weather conditions; so make sure you’re not scheduling your dream vacation during monsoon season. If you’re considering a cruise, keep in mind that hurricane season runs from June 1st on the Atlantic Seaboard (Pacific starts May 15th) through November 30th – which is when a lot of honeymooners are bound to book their reservations! 3. Don’t Break The Bank: It’s easy to get stars in your eyes when thinking about your honeymoon. It’s the dream vacation, right? Romance is in the air, and hopefully you’ve traveled to someplace you love, or have always wanted to go! Then reality sets in…and the biggest reality-check there is, is a real-life budget that you’ve got to stick to. Not only are vacations expensive by themselves, but you’re planning one right on the heels of a wedding – one of the most expensive days of your life! I doubt I need to make your head spin by reminding you of the numbers. Just keep in mind that there are a lot of reasons to go into debt, but a honeymoon isn’t one of them. As you plan, be sure to set aside some time to look at your accounts and come up with a budget that works for both of you. Don’t forget – it’s not just the obvious expenses like the hotel and airfare that you’re going to have to factor in – food, sale’s tax, activities, and souvenirs all add up in a big way too, and that’s something you need to be aware of before making any final decisions. 5. Plan Ahead: The earlier you make your plans and get those reservations made, the better price you’re likely to get when it comes to things like hotel accommodations and airfare. This is especially true if you’re planning you’re wedding during the peak of wedding season – not only is everyone else doing the same thing, but it’s also the height of summer and prime family vacation time as well! Those rooms are going to book-up fast, so make your plans as soon as possible to ensure you get your first choice in reservations for an affordable price. And don’t forget the trip insurance – when you’re planning ahead, always be prepared for your plans to change; as much as you hope everything will go right for your special day/following trip, you never know what can happen, and it’s better to be able to adjust your plans than have to cancel them and still get stuck with the full tab! 6. Don’t Over-Do It: The lead-up to the wedding day can be exhausting in and of itself – and then comes the biggest party you’ve ever thrown! By the time the honeymoon rolls around, it’s a wonder that you’ll even have enough energy to pack your bags. So don’t feel pressured to leave right away, taking a week, or even a month, to recuperate (and make the final touches on things like changing your name/getting a new ID etc). Additionally, try not to jam-pack your entire vacation with stuff to do and things to see, every second of every day. Make sure that you also schedule in time to sit back, relax, enjoy each other’s company, and take care of yourselves. The last thing anyone wants is to be a newlywed who gets sick on their honeymoon from taking on too much! 7. Pick Some Place You’ll Both Be Able to Relax and Have Fun In: Your honeymoon is about celebrating your marriage and new life together, so start things of by going some place you will both enjoy, and that has activities that you can both participate in. Hopefully this isn’t going to be your one and only vacation together; if your significant other totally shoots down your dream idea, don’t worry! There will be time enough to revisit it later. Instead, make sure this trip is about both of you, and has aspects that play to both of your strengths so that you can enforce your bonds in a positive light – and most importantly, make sure that it’s a time for you to have fun and finally relax together after all of the stressful wedding and pre-wedding events!! 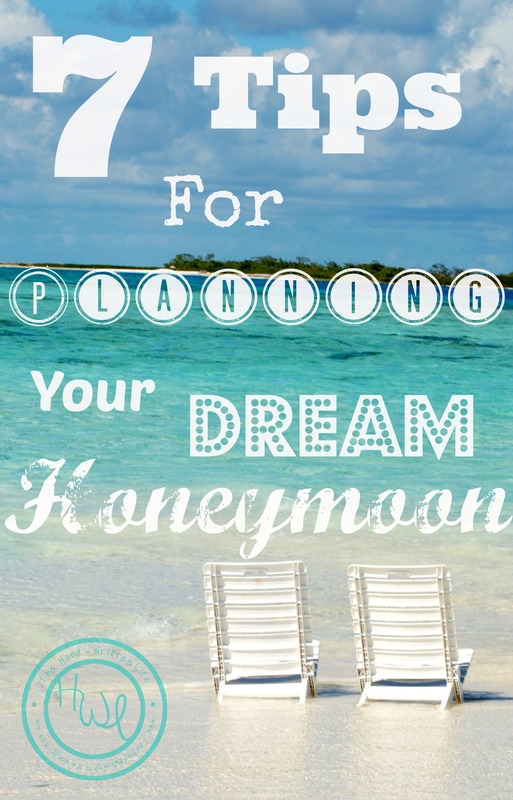 Do you have any advice for honeymooners in the making? Where did you go to celebrate after the wedding? If you’re not married yet – where is your dream honeymoon destination? What was the best part of your honeymoon? What was the worst? ← Blogging 101: How to Build-Up A Blog and Create Your Brand!